Citric acid is a food preservative and an ingredient in products including cosmetics, pharmaceuticals and beverages. The acid is available for purchase from both online and area health food stores, pharmacies and retail superstores. Citric acid has a shelf life of three years from the date of manufacture. The acid's chemical makeup and potency remains stable for at least five years in its original closed container. 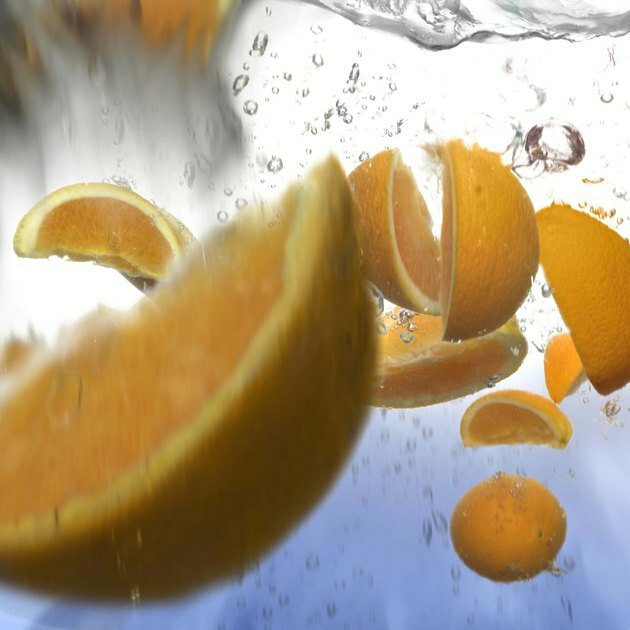 Oranges and other fruits contain citric acid. Store citric acid in its originally bottle or container undiluted. Keep the acid at a relative humidity of 50 percent and in a temperature range of 50 to 86 degrees Fahrenheit. Temperatures above 104 degrees Fahrenheit can cause citric acid in granular form to harden. Do not add water or any other liquid to the acid -- this reduces its potency. Follow any and all recommendations and warnings on the acid's bottle or container. The acid can irritate your skin and eyes, so keep it out of your eyes, mucus members and any open cuts or wounds. Citric acid is extracted from fruits and vegetables including lemons, limes, oranges, tomatoes and grapefruits. The acid is even produced in refineries by combining molasses, dextrose and cane sugar. Citric acid, like other ingredients and foods, is regulated and approved by the US Food and Drug Administration and European food regulatory agencies for use in food and medical industries. The acid is extremely soluble in water. Citric acid also blends easily in foods, creams and medicines. No special catalyst is needed to break down the acid. After dissolving, the acid's flavor is still present -- its level of flavoring varies depending on how much you added to the liquid or substance you dissolved it in. Citric acid is also used to stabilize other ingredients, taste and color when cooking; in bread making to add flavoring; as a astringent; and to adjust the pH level, the measure of the acidity, in water and liquids. The acid is biodegradable; it metabolizes quickly within the human body and is then eliminated. What Vegetables Have Citric Acid?